Upcoming Events and past ones! The WhistleBlast Quartet are a mini-symphonic ensemble made up of a talented team of performers and teachers located in Ireland. We offer a wide range of musical experiences including performances for any occasion, workshop programmes for children and even adults! Book us now to reserve Ireland's highly accomplished musical team for your event! 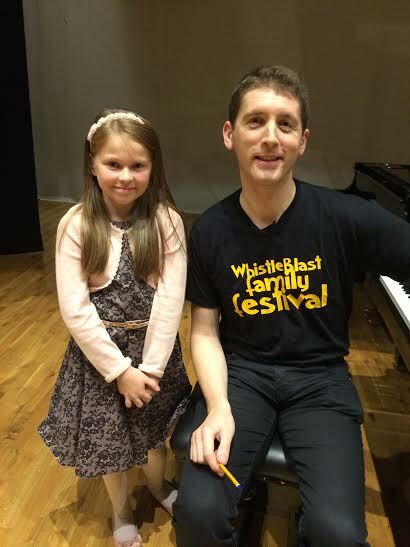 The WhistleBlast Family Music Festival took place in Belmullet during Halloween week 2014 with pianist Finghin Collins. It was full of events for both adults and children! There was entertainment for all the family with fun filled performances including one afloat!! Interactive workshops for all ages- Dastardly Dessert Designing, Day of the Dead, Meet the Saxophones, Music Slide Show! All workshops were FREE! World renowned Pianist Finghin Collins performed a solo recital in Belmullet’s Fabulous Theatre Áras Inis Gluaire for serious classical listeners - the concert included a performance of a new composition by WhistleBlast’s Andrew Synnott for Finghin and the Quartet. Finghin also hosted a public Masterclass which aspiring pianists. Also, the Magical Music Mix Concert featured the Kieran Munnelly Trio and performances by poet Terry Mc Donagh, local young singers and all festival musicians.